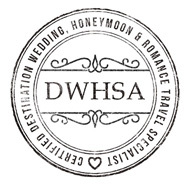 Destination Weddings, Honeymoons, Vow-Renewals, Anniversaries, Romance Trips and more! As rated by Google, Facebook, Wedding Wire, TheKnot and more! We Work Hard For You and Have the Knowledge to Prove It! Romance travel is our specialty. From vow-renewals to all-inclusive beach weddings in the Bahamas, we are your number one agency! Recognized by the industry as Sandals experts. Required to go through an extensive educational program containing the most updated information about Sandals resorts. We have several specialized Disney agents. From tips and trips to traveling with children, to visiting what Disney has to offer for adults. Offering luxury and the highest standards for all-inclusive vacations in Cancun, Cozumel, Isla Mujeres and Riviera Maya, Mexico; Ocho Rios in Jamaica. Check out our testimonies and pictures from Vincent Vacations destination weddings. Royalton Blue Waters was the perfect location for this Jamaican beach wedding and honeymoon! We were overwhelmed with all the choices out there and didn’t know where to start. That’s when we found Vincent Vacations! It was pure bliss, and everything I could have ever dreamed of! I may be biased, but destination weddings are certainly the way to go! Check out the steps below to learn more about our process! Whatever you dream of for your special day, we can make it a reality. No matter how big, or how intimate, Vincent Vacations will work with you to make it come to life. Your love story is unique and special... and we understand your wedding should be, too. Everything you need to celebrate your special day with elegance and simplicity. It's the perfect start to the perfect marriage. The more the merrier, they say… and nowhere does that hold more true than at a destination wedding. Choose your wedding style. Whether you're starting with a blank canvas or already have a look you'd like to achieve, we can help! Travel to your blissful location and say "I do" to forever! This is the time to travel to your magical retreat with your guests. Let the good times roll! Let us know about your destination wedding experience! Certified destination weddings travel agents ready to help you with your big day! 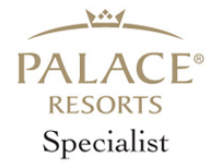 Amazing perks and deals through our preferred hotel partners. You won't find these savings anywhere else!